Beyond The Stage Homes, Home Staging, Decorating, and Design: How Much Does It Cost to Stage Your Vacant Home? Offering everyday tips to the everyday homeowner. Beyond The Stage Homes is a division of Style Corporation. How Much Does It Cost to Stage Your Vacant Home? If you have ever lived in a home for sale, you can appreciate how challenging it can be to maintain a show-ready home for the duration of the listing. Of course, this is made especially difficult if you happen to have pets, kids, or any other type of life. While it is much less stressful for you as a homeowner to sell a home that you are not living in, an empty home puts a great deal of additional stress onto your buyer. The number rule of selling (anything) is that it’s not about you. In order to set yourself up for sales success, you will need to understand your buyer‘s needs, put those needs before your own, and clearly outline how you can help to deliver on those needs. What problem do you solve? Your buyer will have a list of wants and needs when looking at a home, but ultimately they will want and need something that fits their daily lifestyle. This is where home staging comes in. Homes that have been professionally staged spend 90% less time on the market (source: Real Estate Staging Association). Buyers view professionally staged listings as “well-maintained”, and are willing to pay more for a move-in ready home. In fact, a staged home will sell, on average, for 6.5% higher than an unstaged home, according to the Real Estate Staging Association. Despite these great statistics, we understand that it doesn’t make it any easier to open your wallet and spend money on a home that you are selling. Let’s face it – it’s not as though you are decorating a home that you are going to live in, so the joy in home staging, as a seller, comes upon the sale of the home, and the extra money in your pocket as a result. But what if it doesn’t sell? What guarantees do you have? And how much is the initial investment going to be? Before we can tell you what it will cost to stage your vacant property, there are a few things that we need to consider. There are a number of factors that contribute towards a positive sale of a house, including the price, positioning in the market, and advertising. Home staging will help a home to sell for more money, but it is still subject to market restrictions, and will only sell for what someone is willing to pay for it. Think of home staging a part of your marketing strategy. It is not about decorating a home, but instead it is about showcasing the features of the home, and selling buyers on the lifestyle and experience of living there. Why are vacant homes difficult to sell? 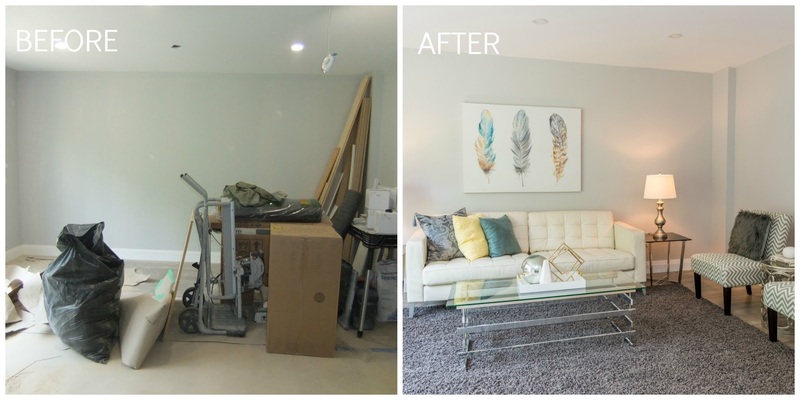 What is involved in the home staging process? Most professional home stagers will begin with a home staging consultation, where they will visit the property to evaluate it and create a custom staging plan. In most cases, there will be a fee for this consultation (generally ranging from $100-$300 – BTSH Home Staging Consultations start at $150 + tax). In some cases, this fee may be refunded, in part or in full, if the staging company is hired for the full-service vacant home staging. In this consultation, you will receive some recommendations for updates or repairs, as well as some details about the staging that they will do (this may include a basic home staging plan, rooms to be staged, pricing, etc.). 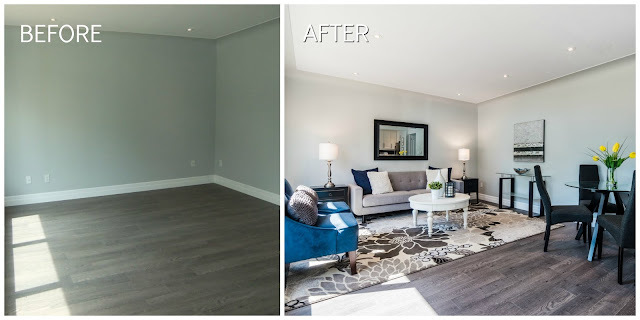 You may choose to stage only the main rooms of the home, however we strongly recommend staging the full house to maximize your home staging investment. 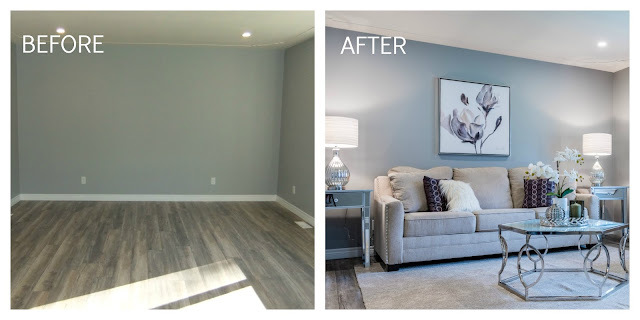 Home staging helps to eliminate distractions, and create an experience for your buyers, and empty rooms will create a disconnect. As well, if any rooms are small or unusually shaped, buyers will find these rooms especially difficult to envision, and will usually underestimate their potential. Full home staging will always provide the greatest return on your investment, however if your budget will not allow for this, you can review options with your qualified home stager. It is not unusual to get a couple of bids for your home staging project, however the decision should be made on a variety of factors, and pricing should be the least of these. Remember that not all home stagers and home staging companies are created equal. Choose the company that you feel will best represent your home, and result in the best outcome. While there are a number of home staging techniques that most home stagers will follow, it is still a very subjective service, and different home stagers will create a different plan. When reviewing the home stager that you wish to work with, be sure to qualify their portfolio, experience, inventory quality, awards and accolades, certification training and continuing education, association affiliations, insurance coverage, etc. Depending on the home (size, number of rooms, outdoor spaces to be staged, style of home, etc. ), home staging services can cost you anywhere from $2,500 - $10,000 to stage properly. As well, the access to your property or the distance from the company’s service area can also affect the pricing. While condominium apartments are generally low square footage, the moving process can take much longer and therefore increase the staging fees. The investment for your home staging project includes more than just a few pieces of furniture. It covers the expertise of the home stager, and the time required to create and execute a successful home staging plan. This means creating the concept, selecting, prepping, and packing the home staging items, delivery (and pick-up upon sale of house), and of course the time required for the home staging team to install the selected items. The home staging process takes several hours, from start to finish, and involves several team members to execute effectively. *Major room refers to a room that requires notable furniture, such as a bedroom, living room, dining room, etc. Pricing provided includes the staging of all bathrooms, entry, hallways, etc. as a part of the estimated fee. If kitchen does not include a dinette, it is not included as a major room. Give yourself the time needed to properly prepare your home for market. It’s cliché, but you really only do get one chance to make a first impression – make it count! 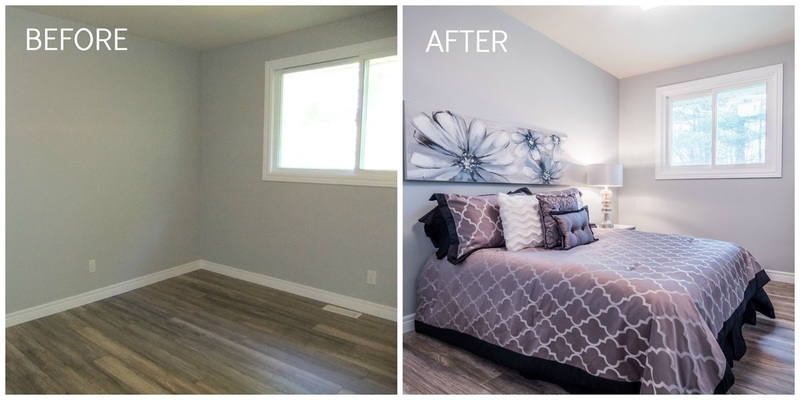 Plan for home staging from the start of your project – it is never too early to call in a home stager for a consultation. A professional home stager can provide guidance and expertise to ensure that you are focusing your investment in the areas that will provide you with the greatest return. If you are flipping a property, it’s important to plan for home staging from the beginning. Consider meeting with your home stager BEFORE beginning any renovations. A qualified and experienced stager will be your best resource for understanding the best finishes and design choices for the home, which areas to improve, and how to best appeal to the target demographic of the home. 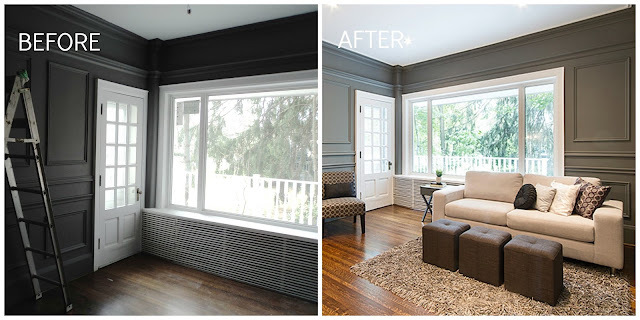 Most of all, remember to stay calm, and call a professional home stager! You should definitely spend the money needed for staging. Display homes are much easier to pitch to buyers. Display homes are much easier to pitch to buyers. I wrote a blog on that. Spam comments will not be tolerated and will be deleted.